Michael C. Giordano is accredited as a Department of Veterans Affairs Attorney. (VA Benefits Attorney Accreditation Announcement) As such, he can assist disabled American veterans with the preparation, presentation, and prosecution of claims for benefits before the Veterans Administration (VA.) He assists disabled veterans from the Army, Navy, Marines, Air Force, National Guard and other branches of the U.S. military. His Mechanicsburg, PA office is conveniently located near the Naval Support Activity Mechanicsburg and a short distance from the Carlisle Barracks and the U.S. Army War College. The Veteran submits a written claim to his or her Regional Veterans’ Affairs Office. The Regional Office sends a letter stating whether the claim has been accepted or denied. If the claim has been denied, the Veteran may now hire an Accredited Veterans Affairs Attorney to represent him or her in the remainder of the appeals process. The Veteran must mail a Notice of Disagreement within one year of receiving denial. The Regional Office will again review the claim file and mail a Statement of the Case, which must include reasons for the claim denial. The Veteran must prepare and submit a VA Form 9 within 60 days of receiving the Statement of the Case. The claim is sent to the Board of Veterans’ Appeals. If the BVA decision is unfavorable, the Veteran must file a Notice of Appeal to the United States Court of Appeals for Veterans Claims within 120 days of the BVA final decision mailing date. If your veterans’ benefits have been denied, please call Michael today for an evaluation of your claim. 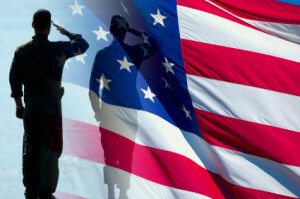 He will learn the facts of your case and work to prove that your existing medical condition is a result of an accident, injury or other incident during your military service. NOTE: Michael’s fees are paid only from past veterans’ benefits already owed and are limited by law; your future benefit payments will not be affected.